Congratulations to our YiA 2017 finalists! The thirty-odd shortlisters have been chosen and are in the running to be crowned this year's YiA champion. While the judges circle in on each category's winner, it's time for the PEOPLE to start voting for their favourite 2017 innovation. Enter the YiA Innovation Showcase! 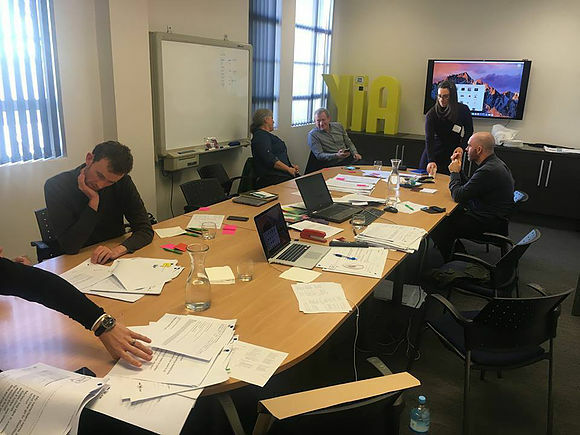 The Innovation Showcase is all about celebrating the shortlisted finalists ideas and helping us pick a winner for the YiA 2017 People’s Choice Awards. EVERYONE - from you to your mate to your grandma - is welcome to vote for the People's Choice Awards, so spread the word! The judges get to choose the YiA Junior, Intermediate and Senior first, second and third place winners, but this is YOUR chance to help us find a fan favourite! We invite you to head along to Bayfair Shopping Centre to view the inspiring ideas that our youngsters have come up with and vote for your favourite innovation. The Innovation Showcase is taking place 31st of July – 9th of August, 9am-5pm at Bayfair Shopping Centre. To celebrate our YiA short-listed finalists and their amazing ideas and to help us find our three winners for the People's Choice Awards. The People's Choice Awards provides an opportunity for the public to choose their favourite innovation across all three YiA categories. The winner in each category wins a $300 Bayfair gift card. 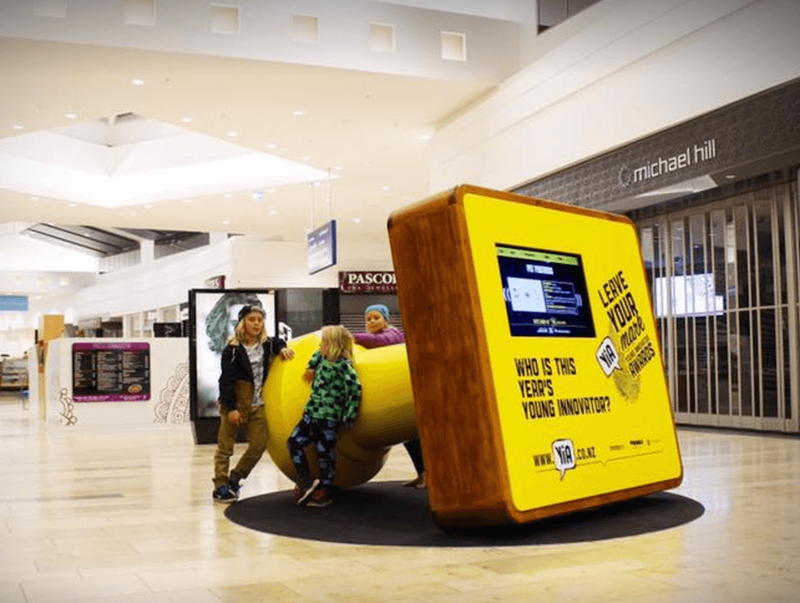 Look out for our giant yellow stamp in the shape of a YiA trophy to vote for their favourite YiA innovation. Thanks to Bayfair Shopping Centre for their ongoing support of YiA and the People's Choice Awards. The YiA 2016 People's Choice Award winners were a group of three senior students at Aquinas College who came up with Profound: a location device using radio waves to locate survivors after a humanitarian disaster.